Welcome to another month of A Year of 30-Day Challenges! It is Month 8 and we’re going to edit a book! In case you want to get caught up, here are the past challenges. I would say that the SPEAK LIFE Challenge was a success. While I was not perfect, I was definitely more aware of my words. There were times when I didn’t exactly speak life to or about some people. That’s not good but I was quickly aware of where I failed and that is a big win. Awareness of my actions is a big step. Overall, I am happy with the steps I took and will continue this challenge from now on. Ultimately, the goal is for this to not be a challenge and to be a natural way of living. Let’s move on to this month’s challenge. April is Camp NaNoWriMo and I am attending!!! Camp NaNoWriMo is the “virtual camp” version of the November NaNoWriMo. It is a retreat that is more relaxed and allows for the most flexibility. You can take on a new writing project just like NaNoWriMo, expand on a previous project, or start editing and revising. I am choosing the last option and will start the first round of editing the novel I wrote in November during the WRITE A NOVEL Challenge. It is about time, I’d say. When I finished writing for NaNoWriMo at the end of November I planned to take December off to let the manuscript marinate a bit and then start editing in January. Then everything turned upside down and all around and I haven’t opened that first draft since I filed it away in November. I got an email from NaNoWriMo talking about Camp NaNoWriMo and thought that this would be the perfect time to start editing. I doubt I will actually finish editing and revising this month because I plan to take it nice and slow and focused. The only way to finish is to actually start and that is what this month’s challenge is all about. What are you doing for your April Challenge? Comment and let me know!!! It is amazing that I am Month 6 of A Year of 30-Day Challenges. It feels like just yesterday I made the decision to dedicate each month to a new goal or challenge. This month, I am going to tackle a neglected task. But first, let me explain how last month faired. During December, my challenge was to learn a new craft. I chose to focus on knitting. I chose this challenge because it felt like the perfect fit for the cozy and busy holidays and as a post-NaNoWriMo (Nation Novel Writing Month) decompressing challenge. It started out well. I watched a few YouTube videos, checked out a book from the library, and practiced my stitches every evening while relaxing and catching up on Netflix. And then my world changed in a significant way and I confess I put my knitting needles down and didn’t pick them up the rest of the month. I would say I went at least half the month of December barely even looking at my knitting supplies. You see, I was offered a great position in my son’s homeschooling organization (Classical Conversations) to direct and tutor a group of 7th graders. The offer came out of nowhere and sent me reeling. It is a very positive change and I am thrilled about it but it required a lot of planning, studying, and mental energy to prepare for the Spring semester. Throw in all the holiday festivities and by the end of the day, I could barely even read a book, let alone practice learning a new craft. I am not ashamed nor do I feel guilty about not completing this challenge. Life threw me a curveball and I just adjusted in order to catch it. It’s totally okay and I know I can pick up those knitting needles anytime I want especially now that I did learn two new stitches during the first half of December. In January, I am going to Tackle a Neglected Task. Do you have a task you have wanted to complete but it always gets pushed after other things that take higher priority, real or perceived? Does it annoy you because you want to finish this thing but it just doesn’t want to happen? Oh, I know that feeling all too well. I wish I could give you an awesome five-step process for how to complete that task. That would make for a great blog post that could potentially get a lot of shares and social media attention. The truth of the matter is there is no multi-step process for tackling a neglected task. You just have to do it. You have to put a stake in the ground and say it is going to happen now, come what may. January is my stake in the ground for my chosen neglected task. I will finish this project in January or at least have it mostly finished before the month is up. Is there is a task that just won’t leave you alone because you know you need to get it done? Join me this month and get’er done!! What is my particular neglected task, you ask? Well, I promised my husband I would read one of his all-time favorite books YEARS ago. Do you hear me? I said would read this book YEARS ago. YEARS! But, I never picked it up. This particular book is a futuristic sci-fi book and sci-fi is totally not my jam. I don’t like sci-fi books or movies. The closest to sci-fi I’ve ever enjoyed is Marvel movies and I am sure most would say those aren’t even sci-fi. I made this promise so long ago and yet it has always been in the back of my mind. I always want to keep my promises and especially to my husband. He loves this book and wants to share it with me. So, why not? I can push past my dislike for sci-fi and read one book to honor my word, right? I hope to have the whole book read by February 1 so it will be behind me and I can read other books that are piling up beside me. I know I can do it if I just prioritize reading each evening. And then I can check that box and not be pestered by the need to tackle a neglected task. Want to join me? Leave a comment or shoot me a message about the neglected task you want to tackle. We can support each other!! I have heard it or said it many times over. I long to read more books. I dream about the perfect reading scenario. Can you see it? It’s raining outside and I am curled up on the couch by a roaring fire with a warm blanket and a warm beverage as I adventure through an amazing world on the pages of my book. Or, I a sitting in an artsy coffee shop, sipping on my latte, as I read some deep, soul-searching book. I have my daydreams about reading but the real-world truth is that most days go by without me ever picking up a book. I hate to admit the truth especially as someone who knows and shares the joys and importance of reading. We all have the same 24-hours in a day. So, how do some people read stacks and stacks of books each year but some people struggle to read news headlines or even a single comic strip? It comes down to making reading more books a priority and then creating habits that support that priority. The good news is these habits are not hard to form and you will read more books too. Pick a good spot in your home or office where you can put your phone and keep it there. That way you don’t have your phone vying for your attention all the time. Leave the ringtone on and turn the notifications off. Keeping your phone in a centralized location will help you not be distracted by constantly checking it. You will be in control when you choose to tune it. Being in control of your phone will help you read more books instead of unnecessary emails and random news stories. We can all agree that social media is an insane time sucker. I will be the first to raise my hand when asked if social media eats too much of my time. While keeping the phone in a centralized location helps keep social media in check, it doesn’t totally solve the problem. Social media needs to be turned off completely except for pre-determined times of the day. Otherwise, you can easily be sucked down the rabbit hole of social media with the flick of a finger. Here’s a super practical one for you. I have lost count of the number of times that I have been in a situation when I’ve had to wait an extended amount of time and so wished I had a book. It ranges from doctor offices to carpool lines to terrible stopped traffic. It is a very common sight to see people whip out their phones in these kinds of waiting scenarios. Why is that? Because their phones are always available! What if we always had a book available instead? You could carry a book in your purse if it’s big enough or you could just keep the book in your car so that it’s easily retrievable in the time of need. No matter how you choose to do it, You get to read more books instead of constantly scrolling through your phone. Put reading time into your daily calendar. Just like you need to schedule time to get your work and exercise done, you need to schedule time to read more books. Treat your reading time like you would treat any important engagement, like a doctor’s appointment. You make time for things that take priority in your life. If you want to read more books like a pro then you need to schedule reading time every day. If you have kids, you may remember the bedtime routine or at least you heard people talk about the bedtime routine and you thought what a wonderful idea it was. One aspect that is part of almost every suggested nighttime routine is to read a book to your child. Adults need nighttime routines too. The ritual of it helps our bodies and minds settle down to a point where sleep becomes more productive and restorative. Start winding down about an hour before your chosen bedtime. Include cozying up with a good book and some decaffeinated beverage. Before you know it, you will be feeling some heavy eyelids and you will be reading more books. Note: There is one warning to this tip. Be careful what book you pick for your bedtime routine. If you pick a very engaging and adventurous book then you might end up staying awake for way too long. Put books in strategic places all over your house so that a book is readily available at all the right moments. Try the bedside table, coffee table, kitchen table, home office desk, inside the car, and…ahem….by the toilet or bathtub. By having books placed all over the house you bust the excuse of not wanting to go get the book you were reading. You also create an environment that is open and friendly to reading. By living in such an environment your desire to actually read more books will go up. Yes, audio books do count as reading more books. Why not? Put Audible or any other audiobook reader on your phone and load it up with great audio books. You can sign up with Audible if you want an easy way to get buy audio books or you can check audio books out from your library. Check to see if your library offers Overdrive or Libby. You can borrow audio books for your Audible app just like you borrow books. Play the audiobooks while driving in the car, doing housework, or exercising. These are all great times to read more books. You can even use your Alexa to pick up where you left off in your Audible app. I have done that quite a few times while I’m cooking. “Alexa, play ‘book XYZ’.” and I am right where I left off. Easy reading. I have recently gotten a Kindle Paperwhite and I can’t tell you why I waited so long to get one. For a very long time, I was of the opinion that I needed to hold the book and feel the book to be truly reading. I have been reading more books so much ever since I got my Kindle. It fits perfectly in my purse so I always have a few books with me. My Kindle syncs up with my Audible app so that I can be listening to the audiobook version and then effortlessly switch over to the ebook version and vice versa without missing a word. I can easily switch between books with the flip of a finger. Having Kindle has helped me kill the notion that I have to read a book to completion before I start the next one. I can read my Kindle in the dark. All I have to do is dim the lights to a more comfortable glow for my eyes. If you are a Prime Member on Amazon you can “borrow” awesome books curated by Amazon editors through their Prime Reading program. You can borrow up to 10 books at a time. And there is no limit on how long you can borrow them. This is a great way to add to your book pile without actually taking up space in your house. There are some other great reading apps you can have on your phone. It is better to just put the phone down but we do live in a time when phones are always around. Why not redeem that time with some good reading too. My favorite reading app is Serial Reader. Do you ever wish you could read more Classics? Serial Reader takes those books (often public domain) and breaks them up into serials. You subscribe to a book and you get a notice every day saying that day’s serial is available. Each serial takes twenty minutes or less to read. Day by day, bit by bit, you will get that awesome class book read. And it’s free. If you don’t have a physical Kindle, you can still have the Kindle App. For years I used the Kindle app for all my eBook needs. I have read countless books this way and most of them for free by taking advantage of sales and giveaways. There are countless other apps in the Play Store or App Store you can check out to fit your needs. Are you an introvert like me? But, you still love to meet up with close friends and family members. Schedule a reading date with your favorite reading buddy. Meet up at a coffee shop, bookstore, or library and read together. This way you are being social and reading more books. It’s a win-win situation!! Are you competitive? Are you one to compete with other people or are you one to compete with yourself? No matter your flavor of competition, reading challenges are a great way to get your blood going and read more books. You can challenge your friends to read a certain number of books in a given amount of time. Or, challenge them to books from a certain book list. If you like running solo then consider challenging yourself in the same way. GoodReads puts on a great challenge every year. On January 1, you set a number of books you desire to read in that calendar year. Pick an easily achievable number of books or pick a stretch number. Whatever your circumstances are you can challenge yourself to read more books. Joining a book club provides group accountability and fun to reading. It is no fun showing up for book club having not read the book. Book clubs also provide a new level of understanding to the book as you discuss and hear other peoples thoughts on the book. Keep a log of some sort of all your reading. It is so encouraging to see your reading list grow and grow as you read more books. Again, GoodReads is an excellent app for tracking your progress. Not only can you keep track of what books you have read you can also keep track of books you want to read as you find them. There have been many times I have been in a library or bookstore and I see a book I want to read. All I have to do is scan the ISBN number and it’s added to my want to read list. Please do not give into the notion that you have to read books just because they are classics or famous. It is a simple truth that if you are not enjoying a book then you will take forever reading it. And that is not how you read more books. It is possible to even end up resenting that book. Do yourself a favor and focus only on books you actually enjoy. And it is perfectly OKAY to stop a book halfway through. Stop wasting your time and energy believing you have to always finish a book. Reading is supposed to be enjoyed not suffered. You have all the tools you need to make reading more books a priority this year. I know it can be hard at times. We are all busy but we also all have the same 24 hours a day. With the proper habits we can all shift our focus back into books. Welcome to Month 3 of the Year of 30-Day Challenges!! That means it is time for Challenge Number Three! Let’s get reading! It is amazing how quickly the time is going by. When I first started mulling over the idea of doing these challenges it felt like it was going to take forever. Now I’m already going into the third challenge. That’s three out of twelve. I will be one-quarter of the way through at the end of October. First, let’s talk about Challenge #2: The BE SEEN Challenge. I will be honest and say the BE SEEN Challenge was a bit frustrating. First, I never felt like I had anything important to talk about. So, a lot of the time I was flying off the seat of my pants. I know I usually have plenty to say but for some reason, I didn’t want to talk about those kinds of things on camera. Is it a good thing to talk about controversial stuff? Is it worth the potential backlash? That’s the big question. Second, I was frustrated by the lack of interest or involvement. Sometimes I would post on my FB page that I was going LIVE and no one who would sign on and watch LIVE. Nor did very many people watch the replays. Why did that bother me and why does it concern me that no one watched? Was it because I find confidence or affirmation in other people seeing me and praising me? What is the root of this issue? I think what this BE SEEN Challenge showed me was that I really do hold on to other people’s opinions too tightly. The fact that my motivation to do LIVE videos started going way down when I saw no one was signing on days on end is very telling. The fact that my desire to write went way down is extremely telling. My desire to write and pour myself into this blog suffered quite a bit this month and I am blaming the BE SEEN Challenge. I am not saying this past challenge was a bad one. It was a big WIN. I can see now why I felt prompted to do this challenge and why I was so hesitant to do it. Something inside me knew it could get ugly even if I couldn’t quite articulate the specifics of it. Was the BE SEEN Challenge enjoyable? No. Not even a little bit. I confess I would try so hard every single day to justify not doing my video. I would feel better after the video as done and think, “Well, that wasn’t so bad.” And then I would start thinking about how no one signed on. I would go back and see if anyone watched the recording. Most of my videos have zero views. Then I would go down the rabbit hole, wondering WHY no one signed on. It just got nasty from there. Was the BE SEEN Challenge worth it? Absolutely. It showed me where I have some root issues that need to be sorted out. That is a good thing. It will be deep soul work but I have no doubt it will be well worth the hard work. My writing will be so much better for it. October is the Less Scrolling, More Reading Challenge. I love reading and I love reading a wide range of material. However, there is this nasty habit of scrolling on my phone when I settle down for the night. While I tell myself I should reach for a book, I almost always reach for my phone for that one last look at what’s going on in the e-mail, news, social media, etc. Next thing I know it is time for bed and I have never picked up a book. I hate that I miss out on so much good reading because I’m mindlessly scrolling. Rarely is there anything worth remembering when I’m scrolling and not reading. So, I have issued myself a challenge to do less scrolling and more reading in October. I have gone through quite a number of scenarios of how to do this challenge. One was to challenge myself to a certain number of books and another was to make it more of a social media fast that focused on reading. Both are good options. After last month’s BE SEEN Challenge and everything that I uncovered from that, I need a challenge that is a bit more open and less daunting. I also have another very big challenge coming up in November. Keep my phone in one place all day. You could even call it “phone jail”. I will keep the ringer on but turn off all the other notifications. Only use social media when on my laptop instead of on my phone. Turn off social media apps on phone. Carry reading material wherever I go via regular book or Kindle so that reading is available at all times. Pick up my Kindle or book in every situation I would otherwise use my phone for entertainment. I don’t really have a specific number of books in mind I want to read this month. I just want to know how much I am capable of reading when the distractions are minimal. I will keep up with accountability on my Facebook Page and Instagram. At the end of the month, I will report on what books I read and what I think of them. I am pretty dang excited about this challenge. I have been wanting to really focus on reading and this gives me the perfect excuse to do it. How are you with your reading? Do you get plenty of reading each day? Do you wish you could do more? Join me in the Less Scrolling, More Reading Challenge!!!! It is time for Challenge #3 of the Year of 30-Day Challenges!!! This month is all about reading and how many books we can read when not scrolling on our phones. PASTE It is time for Challenge #3 of the Year of 30-Day Challenges!!! This month is all about reading and how many books we can read when not scrolling on our phones. It is hard to believe that I am at the end of my first 30-day challenge in my year of 30-day challenges. When I started, I thought that the hardest part of this journey was going to be just starting. Writing a chapter of Scripture a day has been a wonderful and challenging experience. I found a groove that worked well for me. I put a bunch of college-ruled paper on a clipboard and kept it on my desk at all times. The YouVersion Bible website stayed open on one of my monitors. (I have a laptop on a stand and connected to a bigger screen so that I don’t have to squint quite so much when I’m working at my desk.) This arrangement allowed for me to easily come to my scripture copying whenever I wanted. 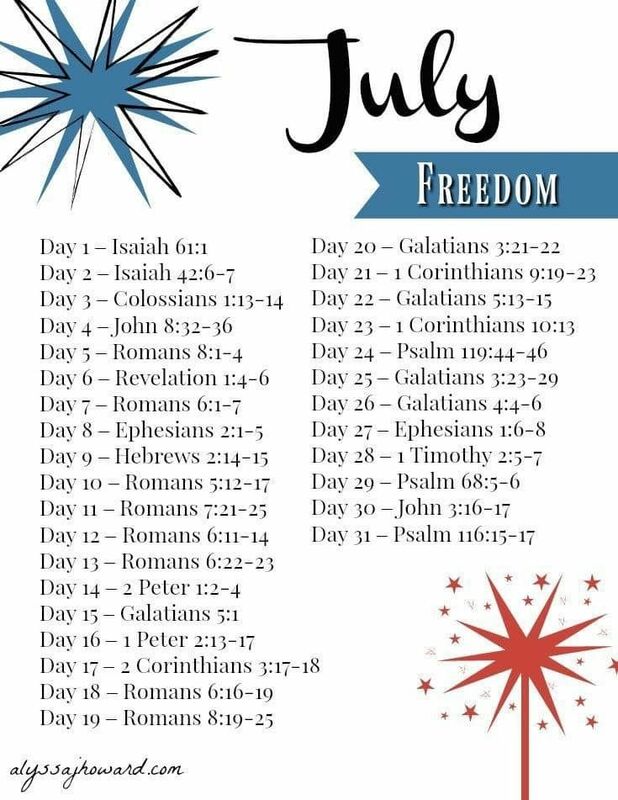 I think it goes without saying that finishing the write a chapter of scripture a day challenge was not a perfect finish. I did miss some days. At first, it bothered me and then I reminded myself how I said to give yourself grace in this challenge. It was okay. The beauty of having my paper and pen ready all the time is that I can always return to it whenever I want to. The most unpleasant thing that came from the first challenge is when I realized on some days that I hadn’t even started writing Scripture until the afternoon. My first thought was almost always, “Darn! I haven’t started yet. And I still have so much left to do today! !” I kid you not. I’m not proud of it. When I had these thoughts I would force myself to stop and consider why I was having those thoughts. And then I would remind myself that time spent in the Word is ALWAYS worth it no matter how busy I may feel. And then I would put everything else that needed attention aside and copied Scripture. It was tough. Sometimes I felt like a spoiled, entitled child. “But, I don’t waaaannnnnaaaaaa……!” I saw some of the ugly in me and that is what God wanted me to see. I am so grateful for His grace and forgiveness. Where will I go from here with this challenge? I have learned that I do love copying Scripture by hand. I have even had visions of writing the entire Bible out by hand. But, I have also learned that I need a much more manageable pace. I will continue to keep my clipboard on the desk and write down verses as I have this whole month. I will take it one chapter, one book, at a time. There won’t be a number of verses per day goal but a goal to write something each day. Creating a solid habit of writing Scripture out by hand has proven extremely beneficial for me. I love how it slows me down and it grounds me in this crazy life, even when I don’t catch every word I write down. Have you been doing a Scripture Writing challenge? If so, comment and let me know how it has been going. It’s time for Challenge Number Two! Just as a reminder, here a few of the criteria for choosing each 30-day challenge. Address an area of my life that I know could use major improvement but I’m either too lazy or too scared to work on it. Force me to dig deep in mind and soul to finish it. Be something new or it can be something I’ve attempted many times before with little to no success. Require that I drop the ego, be humble, and be teachable in order to gain every bit of goodness and insight out of it. I knew I chose a good challenge that fit the above criteria when I noticed how I was horribly procrastinating writing this post. It has been epic procrastinating. It seemed like EVERTHING was way Important than writing this post. I would tell myself, “Tomorrow. I will write it tomorrow.” Yeah, okay. Tomorrow never comes. I am really, REALLY good at giving myself excuses. A few days ago, I found myself justifying not writing, and committing to, this post and I forced myself to stop and question my reasoning. I knew I was afraid to write this because I was afraid of the actual challenge. And for that reason, I KNEW that this has to be my next challenge. So, what’s the second 30-Day Challenge in the Year of 30-Day Challenges? Here’s the thing. As much as I love to write and have my words read I really do not like being on camera. I’m not a big fan of having my picture taken nor do I like being filmed. I confess I am the mom who is always the one who takes the photos but tries to bow out when someone else tells me to get in the picture. If I see someone filming I will go hide in a corner. I guess you could say I like to hide behind my keyboard and computer screen. For most of my childhood, I was called “shy.” That was said about me and to me. And those are words I took as truth and I internalized them. For that reason, I struggled in social situations. Words have power. Words that are said to us can become who we are if we let them. Not knowing better I did indeed become what was said to me. It wasn’t just that I am shy. Words such as “ugly, “not worthy,” “dumb,” etc. etc. etc. You get the idea. For all those reasons I have avoided being seen. I am worthy of being seen. I am worthy of being known. So, here’s the challenge I am giving myself for Month Two of the Year of 30-Day Challenges. I plan to go LIVE on my FB page every day, Monday – Friday, for the 30-day challenge. I will take the weekends OFF to recuperate. That is unless I have something special I want to say. I’m not really sure what I’m going to say. It will probably be whatever is on my heart that particular day. I am not sure about specific times of day that I will go LIVE but I will most likely do a small post alerting everyone. This challenge is all about pushing through the barriers I have for actually being SEEN and not just read. I welcome anyone and everyone to join me in this challenge!!! You can choose to go LIVE on your FB page, personal profile, Instagram, etc. If that is too much then maybe consider taking a selfie each day and posting it. (You could use the hashtag #beseen). And if being seen on social media is too much where you are right now, and that’s okay, then maybe take a picture and send it to a friend or even me!! You choose!!! Let me know if you want to do this with me!! I’d love to have some company!! The BE SEEN challenge is all about, well, being seen. Why be seen? Because you are WORTHY of being seen. You, and I, matter!!!! I also need to be reminded of this sometimes and that is why I’m doing the BE SEEN challenge. The Challenge Starts September 4th!!!!! Sometimes your Bible Study needs a little sprucing up. Maybe you want to try something new. Have you seen all the Scripture Writing Resources and plans on Pinterest? I have come to really love and enjoy the process of copying the Bible by hand. Sometimes I follow a plan provided by someone else and sometimes I just write my way through an entire book. Here I provide a large collection of Scripture Writing Resources to save you time and effort in finding the perfect plan to start your journey. You will see plans for writing out entire books of the Bible, topical plans, and general knowledge articles on the practice of Scripture Writing. Bookmark this page and come back when you are ready for the next plan! Enjoy! Who Is The Proverbs 31 Woman?